I’ve been offering bespoke itineraries and trip planning services for a while now, booked via Vayable, as well as arranged directly through me via Grantourismo. This all came about somewhat serendipitously in response to friends asking me to help plan their itineraries to include off-the-beaten-track spots and local experiences. After restaurateur and chef friends began requesting food-focused itineraries, I started to get fairly busy, so I formalised Inside Siem Reap and Savour Siem Reap and began offering those on Vayable as a way to better manage things. As Vayable is no longer able to pay Asian-based insiders via PayPal please book directly with me via the Contact page or via Grantourismo. To read the fantastic reviews I received for my Vayable experiences and to find out more about my itineraries, head to the Travel Services page of this site. I offer the following bespoke experiences, each handcrafted in consultation with you to satisfy your specific interests and needs. You’ll find more information about these on that Travel Services page. Inside Siem Reap was the first experience I offered and the idea was to show visitors that there’s so much more to Siem Reap than Angkor Wat, as special as it is. This itinerary can still include the temple – and I encourage people to see the lesser-visited temples – however, it also introduces people to the more captivating place and people beyond the archaeological sights to reveal the city locals and expats know and love. Depending on the client, it can take in local markets, off the beaten track restaurants, secret boutiques, offbeat art spaces, laneway cafés and bars, alternative tours, affordable spas, village walks, and more. I started creating the culinary focused Savour Siem Reap itineraries for chefs and restaurateur friends visiting Siem Reap. They tend to take in fragrant local markets, scrumptious (and safe) street food, fine dining restaurants, authentic off the beaten track eateries, food tours, cooking lessons, laneway cafés and bars, cocktail classes, and shops and stalls selling covetable bits and pieces for the kitchen. 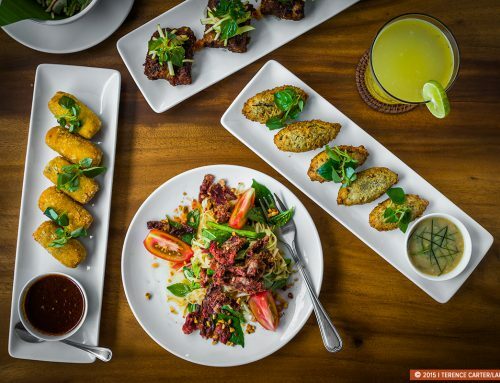 Siem Reap may not be known as a gastronomic destination, but there’s plenty here to satisfy foodies and I love giving people a taste of the tantalizing place beyond the temples to reveal the delicious side of the city that locals and expats get to savour every day. My Shop Siem Reap itineraries concentrate on Cambodian crafts, couture fashion, handmade jewellery, recycled accessories, vintage one-offs, hand-woven textiles, and original art and design objects. My focus is on Cambodian made things, some hand-crafted by artisans practicing centuries-old traditional techniques handed down through generations, others by skilled self-taught crafts-people, European-trained designers, and creative cutting edge young artists. Many things are produced at NGO-supported workshops by disadvantaged Cambodians, such as former street children, landmine victims, and people with disabilities who otherwise wouldn’t have skills or a job, so by buying their products you’re supporting them and their community and helping to lift Cambodia out of poverty. This is a new experience that I hadn’t got around to putting up on Vayable before they stopped paying people. It was created in response to client demand, after a few one-hour chats about the itinerary at Miss Wong’s turned into hours-long bar hops, with clients asking me to show them the drinking spots beyond Pub Street that expats and locals like to sip at. I’m sub-titling it a ‘cocktail (bar) crawl for adults’ because you’ll pay for your own drinks and can drink whatever you want. We’ll also hop between specially selected places on the night that match your interests and won’t follow a set itinerary. If a bar isn’t to your taste or isn’t happening we’ll move on. 3) a chat about your itinerary and trip over a drink at my favourite café or bar. 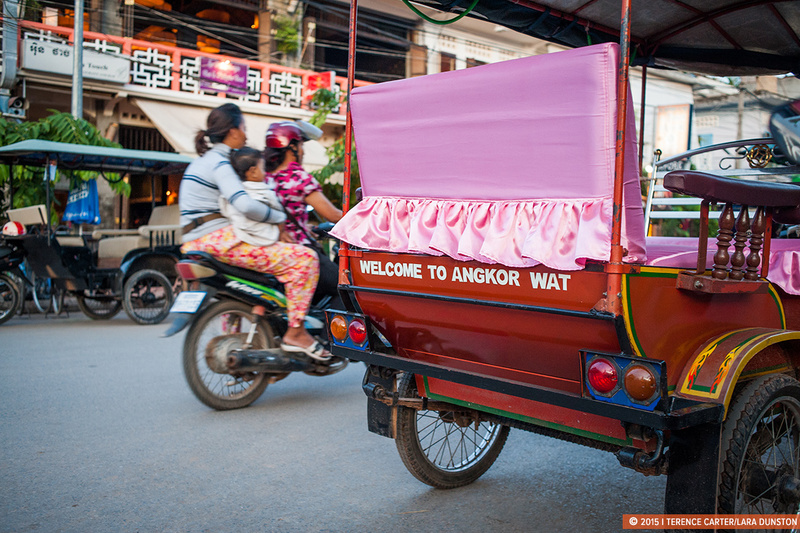 Note that I only recommend Siem Reap-based travel companies that use Cambodian guides. I don’t believe expats should be taking guiding jobs from foreigners in a country as impoverished as Cambodia. For an additional fee, I offer more than the standard Siem Reap itineraries, orientation and meeting over a drink outlined above. I also provide trip planning services and expert advice, from recommending the best way to get to Siem Reap and the best places to stay, to making personal introductions so you get VIP treatment, organising a tuk tuk driver and guide, and offering ongoing advice and tips throughout your stay. For chefs and restaurateurs, I can make introductions to Siem Reap chefs and restaurateurs, organise restaurant reservations, and plan special culinary experiences not included in the standard itineraries. If you don’t want a full itinerary and are simply looking for tips and recommendations, please head over and browse the Cambodia section of my travel site Grantourismo, where I have an abundance of information on Siem Reap and other destinations. Feel free to ask questions in the Comments there. Happy to help you make the most of the place I call home. If you’d like to book one of my Siem Reap itineraries or chat about your trip please email me or get in touch via my Contacts page.